It’s completely normal to get anxious or nervous from time to time, for example, when going through a divorce or speaking in public. Nevertheless, for some people anxiety can become so forceful and so frequent that it starts taking over their lives. The Awareness Network is trying to help people with anxiety disorders in Montana by promoting treatment and ending stigma. Is it possible to see the difference between “normal” anxiety and the one that’s crossed the line into a disorder? It is, but you cannot do it yourself. The distinction between everyday anxiety and an official diagnosis is not always clear. The most common types of anxiety disorders are panic disorder, social anxiety disorder (or social phobia), all sorts of phobias and generalized anxiety disorder (excessive tension even when you have nothing to worry about). If you are uncertain whether the anxiety you’re feeling is excessive or “normal”, it’s highly recommended to talk to your doctor. In the last decades, much progress has been made in treating people with anxiety disorders and other mental illnesses. In general, following treatments are used for most types of anxiety disorders, alone or combined: psychotherapy, cognitive-behavioral therapy, relaxation therapy, medication and lifestyle/dietary changes. Since anxiety disorders are probably a result of a combination of psychological, biological and individual factors, the approach to the therapy will depend on the causes, the severity and the type of this medical problem. According to the Awareness Network approximately 20% of Montana citizens experience some sort of anxiety disorder. So, 150,000 adults in Montana and 35,000 youth live with panic attacks, phobias and similar issues every day without looking for the way to get better. The reason why they don’t seek help is the fear, shame or because they aren’t educated about symptoms and treatments for these medical issues. 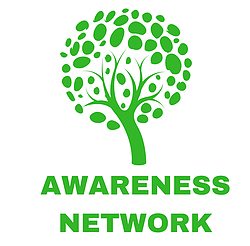 The Awareness Network was formed to change that, to educate the public and fight stigma related to anxiety disorders.